Download latest version of software and try software yourself. 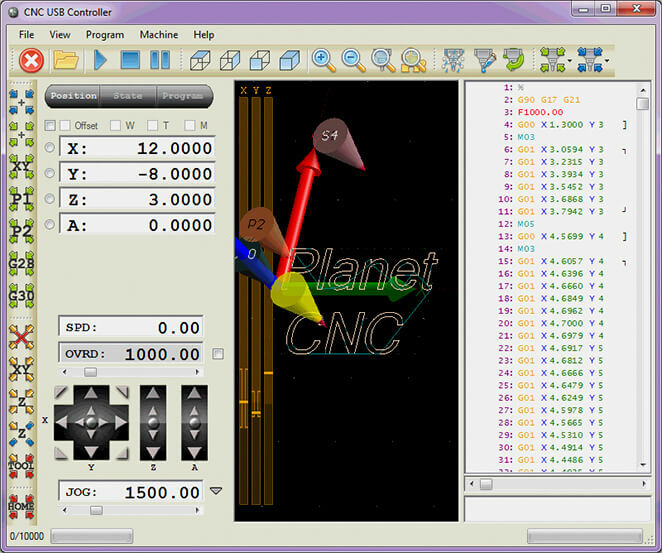 Software is free to use with controllers that have valid license. Apart from standard g-code, user can also import DXF files, PLT/HPGL files, Gerber files, NC Drill (Excellon) files for drilling holes, images, texts… These files are all converted to g-code and can be used for cutting. There is also special airfoil importer for those with foam cutter. 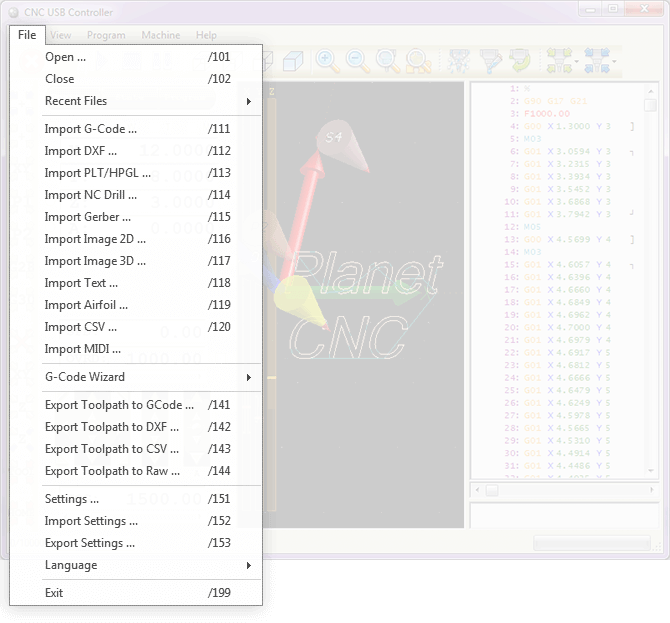 G-code can also be exported to DXF or CSV file. It can also be exported to RAW for use with SD card. With “View” menu user can choose what will be displayed and how. There are different views which can be zoomed or centered. View origin can be changed. 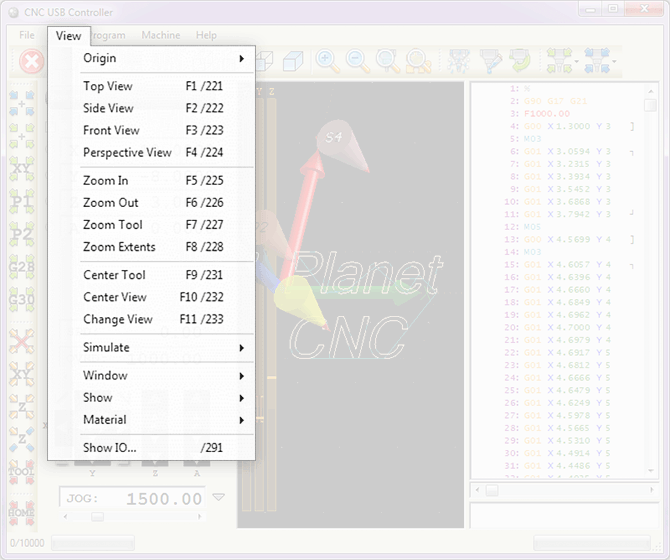 Individual display components can be shown or hidden. Controller inputs and outputs can be monitored. 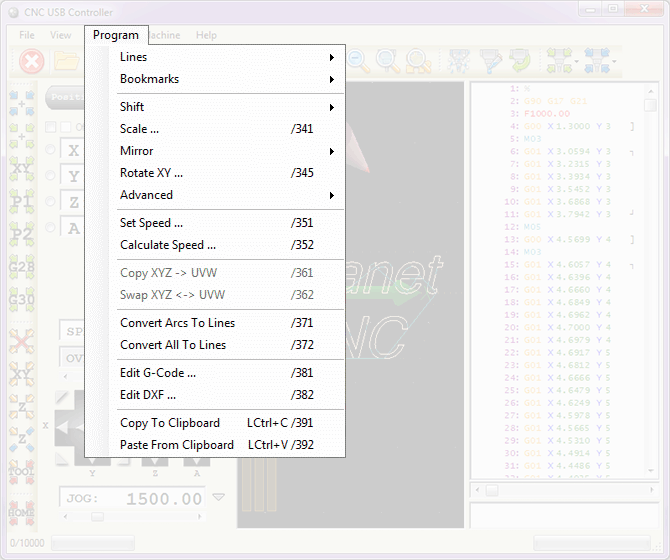 Menu “Program” is used for g-code program manipulation. 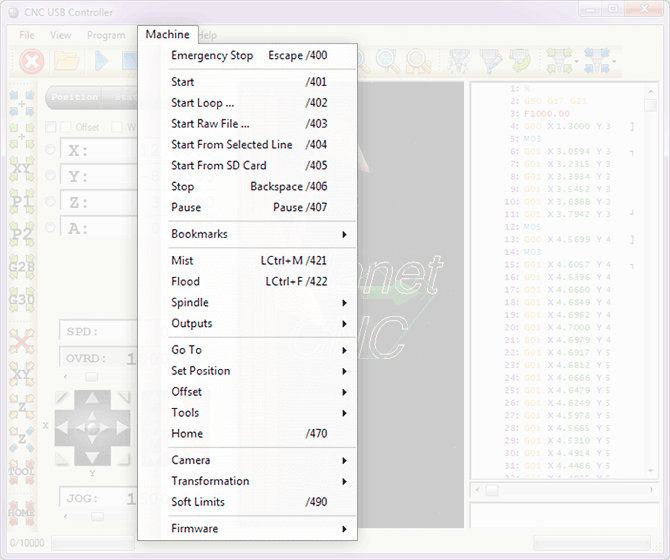 G-code can be shifted, scaled, rotated, mirrored, converted, edited, speed can be changed… Copy & paste of g-code is also supported. Menu “Machine” is used for machine operations. Start, stop and pause are basic operations. User can use bookmarks to send only part of g-code to controller. Standard mist, flood and spindle outputs can be controlled. Spindle also has speed and direction control. You can set different positions or move machine to position. Change of offsets, tools, homing and different measurement procedures are executed from here. There are also several transformation, capture and measure options as well as camera options.